USU Welcome Back Party in Downtown Logan! We will welcome approximately 1800 USU freshman and transferring students to Downtown on Wednesday, August 21, 2019 for the 15th Annual Taste of Logan event. USU Aggie Shuttle buses will provide transportation to students to and from Main Street and the USU campus between the hours of 4:30pm and 8:30pm. If you are a local business owner and would like to join us Downtown in the Taste of Logan event this year, please click the registration button below. This is an exclusive event for retail, professional services, eating establishments, grocery stores, and other businesses located in Cache County. Event occurs on Main Street between 300 South and 200 North. All businesses participating must have written permission to participate. On Friday night, students in their Aggie blue lined the streets of Downtown Logan to enjoy Taste of Logan. Taste of Logan is the last big activity of the week for freshmen students enrolled in Connections Week. According to Utah State University’s website, Connections is a two-credit academic course designed to ease the student’s transition to USU and also to prepare the student for the college experience. The class runs the week before Fall Semester starts and two or three follow-up sessions are held throughout the semester. This year, close to 2,000 students registered for Connections. To prepare for Taste of Logan, Director of Student Orientation and Transition Services Lisa Hancock said she works closely with the Logan Downtown Alliance. “We have this strip of Main Street between 200 North and 300 South and we bus students down to that and then invite vendors to pair up. It’s a way for students to actually physically get into the stores Downtown along Main Street and also sample some of the food from restaurants in the area,” said Hancock. Logan Downtown Alliance Manager Gary Saxton thinks this is a way to help students have a positive first experience in the town of Logan. “We identify these students as new or transferring students to USU and to Logan. It’s a way for us to familiarize them with Downtown and put on a really great first impression so they fall in love with Logan and USU,” explained Saxton. 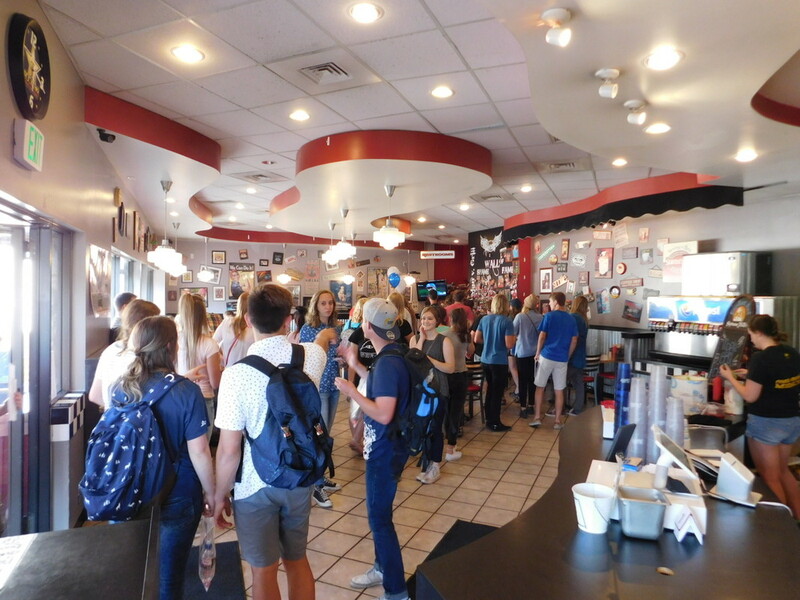 “It’s so important for the students to understand that Logan is a college community and for them to see the support that the local businesses give to the University,” Hancock said. She also added that it’s good for these local businesses to receive the foot traffic from incoming students.